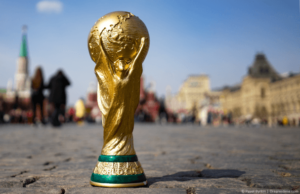 Home / News on MilesAway Travel and Flights / 2018 FIFA World Cup – Are you ready? 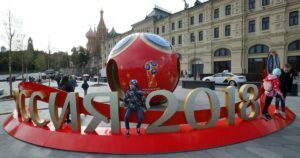 With kickoff time drawing closer and closer, fans across the world are amped for the opening ceremony of the 2018 FIFA World Cup in Russia. Since tickets went on sale in September 2017, more than 2, 403, 116 fans from across the world purchased their game tickets. The majority of ticket sales went to Russian fans. More than 88,000 American football fans purchased tickets for the games, followed by fans from Brazil, Colombia, Germany, Mexico, Argentina, Peru, China, Australia, and England. 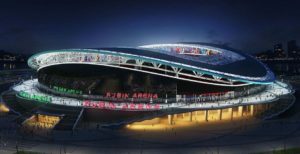 With over half the ticket sales allocated to international demands, the 2018 games are set to be showstoppers. Russia welcomes the world on the 14th of June this year, hosting 32 national teams that will battle it out for the cup over 64 games. After being awarded hosting rights on the 2nd of December 2010, Russia is proud to host the 21st FIFA World Cup in 2018. The opening match is scheduled to take place in the Moscow Luzhniki stadium on the 14th of June, paving the way for the tournament that spans to the 15th of July 2018. After the first match, teams will travel to 11 cities across Russia. Major cities include Saint Petersburg, Sochi, Kaliningrad, and Yekaterinburg. On the 15th of July, the two finalists will meet again in Moscow and content for the cup and title of the World Cup champs. Interested in purchasing last minute tickets for matches? FIFA has a traffic light system that gives fans an indication of how many tickets are still available for the matches. FIFA has also released an additional inventory of World Cup tickets. Hours after opening for sales on the 8th of July, more than 120,000 of those tickets were sold. It seems like World Cup fever is reaching a crescendo as the opening match of this year’s games draws closer. Various events across the world are showcasing fan excitement for the games. A highlight was a Russian rocket that delivered an official FIFA 2018 football to the International Space Station. But which country is feeling the fever best? Thanks to modern tech, some metrics, and a bunch of research, ForwardKeys have managed to pinpoint countries with the highest levels of anticipation for the games. According to their data, flight bookings for arrivals in Russia are currently 50.5% higher than they were this time last year. Research also indicates that outbound flights from Russia are down by 12.4%. It seems like the Russians prefer to stay home to enjoy the games on their home turf. The most substantial increase in visitors can are noted in countries like the U.S.A. America is followed by China, India, Israel, Paraguay, UAE, Turkey, Canada, and South Africa. Although those countries did not qualify for the games, their fans are still supporting the game whole-heartedly. Teams that qualified for the World Cup 2018 are receiving the most support from their home countries. Fans from Brazil, Spain, South Korea, the U.K, Germany, Mexico, Argentina, Peru, Australia, and Egypt are streaming into Russia. Due to the huge interest from fans across the world, the Russian government waived visa requirements. The waiver applies to all visitors in possession of World Cup tickets. The visa-free entry period spans from the 4th of June through the 15th of July 2018. According to booking data, it looks like people visiting Russia for the games are staying for roughly 13 nights. This is much higher than out-of-season Russian tourism stats. Compared to the same period last year, bookings to stay in Russia for the visa-free entry period are up by 39.6%. The 2018 FIFA World Cup opening game will be hosted at the Luzhniki Stadium. The stadium is located in the centre of Moscow’s 145-hectare Olympic complex. It is one of the world’s largest sports complexes and is also the main venue for the 2018 tournament. The stadium will also host the semifinal and the Final game. The FIFA Fan Fest will be hosted at the Vorobyovy Gory venue, better known as Sparrow Hills. The fan centre has a capacity of 25,000 and is located next to the Lomonosov Moscow State University. Fans can enjoy great views down the hill, facing the Luzhniki Stadium in Moscow City. You can read more about the Fan Fest in Moscow here. If you have a last minute urge to be part of this outstanding sport event, contact us for the packages that we offer.